In the previous post Delta was watching animals and later a Western...last night my daughter sent me this one, saying that Delta was ready to rest after playing. I don't recognize the show, but it is not animals or a Western. ...watches what ever is on! Well after all they have evolved right along with man!!! But some have evolved better then some people you see on TV. Just don't let Delta watch the news. This is one interesting dog. 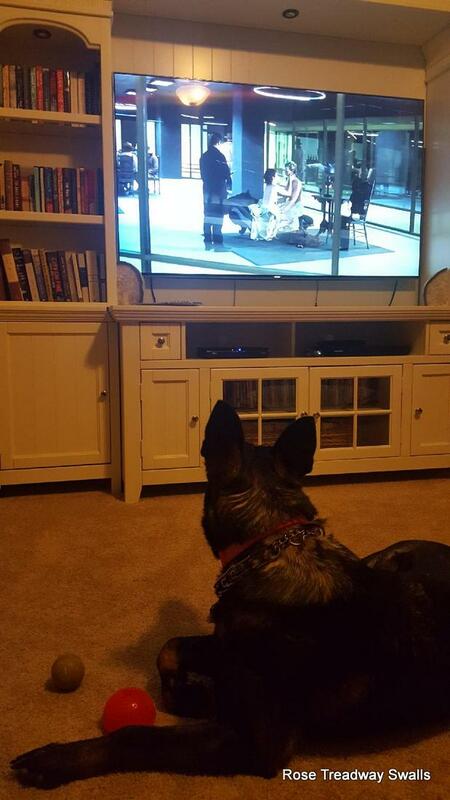 He loves to watch TV! Hello, she does enjoy watching TV. Cute photos. Happy Thursday, enjoy your day! How fascinating and cute. Great dog. How funny! She's got a wide range of interests! heehee! Hugs! So cute! That's a good dog. 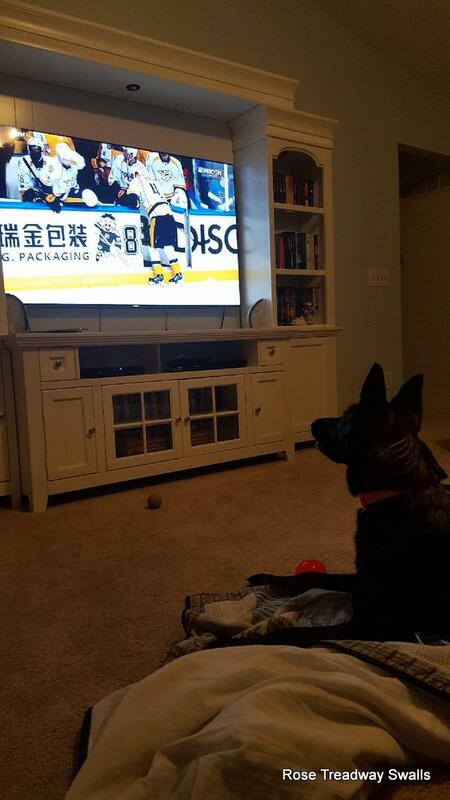 That is funny that the dog likes tv! Mine just want to nap through the shows! lol Thanks for linking up today and have a great weekend! This is so unusual!! And she is really involved, too. Oh, wondering what my dogs are thinking is what I wonder daily. Right now Tyson is watching a lizard run from a snake, oops, it switched to elephants. Do you think he wonders what elephants ARE?